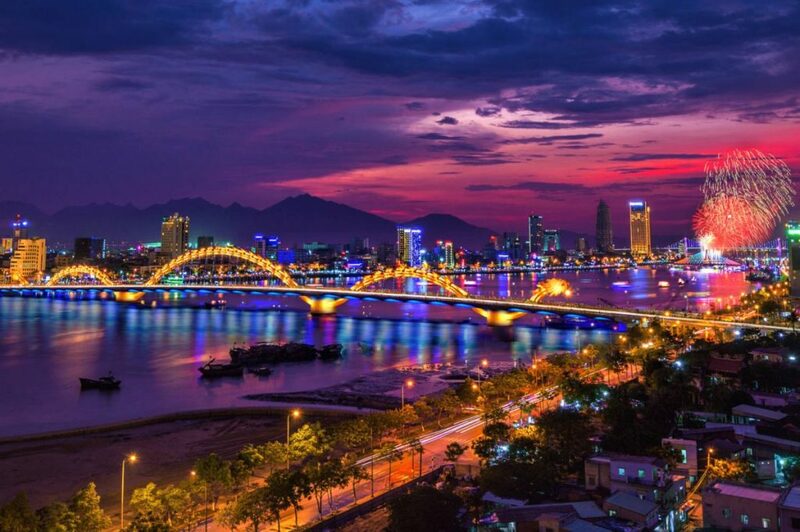 Vietnam has the characteristics of a tropical climate, good soil, abundant water sources suitable for planting fruit trees. 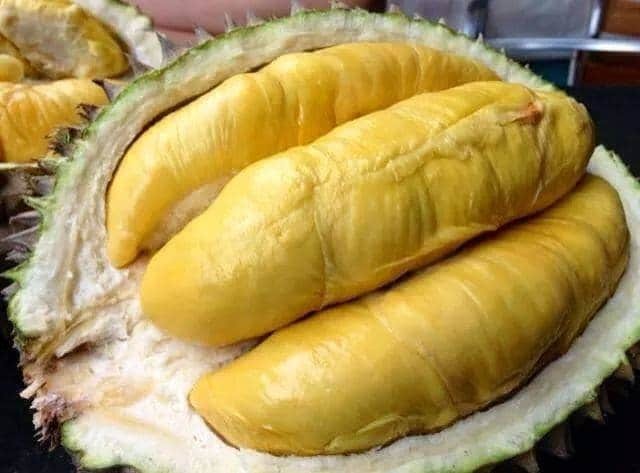 Here is a list of the 10 best Vietnamese Fruits , if you have the opportunity, you should definitely try. 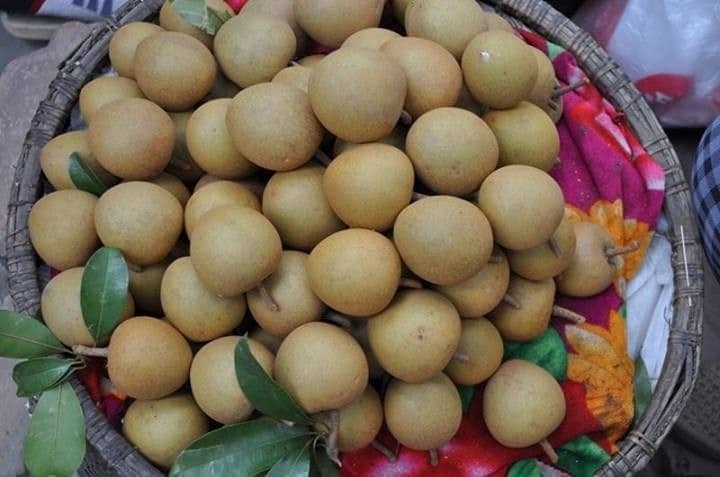 Star Apple Lo Ren has long been famous in the domestic market for fruits. The Star Apple plant grown here gives white fruits, thin shells, small seeds, thick pulp and is very sweet and aromatic. In the commercial deal, this fruit called Milk Apple means the apple tastes like milk. The land here is characterized by fertile alluvial soil, star apple is a hot-favorite plant, based on such favorable conditions, the star apple Lo Ren often produces high yield and quality good fruit. Star apple are fruits that contain lots of vitamins, fiber, and minerals that add essential energy to the body. Women who eat a lot of these fruits will have fresh, smooth skin, because in the star apple contains high antioxidants. 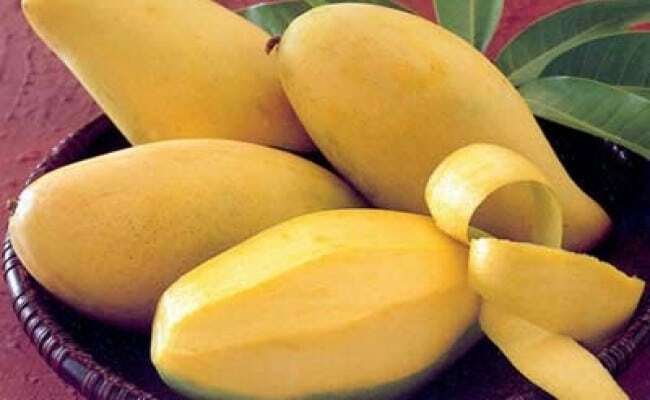 This fruit is very delicious and nutritious, so it is loved by many people. Lo Ren star apple is not only available in the Vietnamese fruit market, but also exported to international markets. Hoa Loc sand mango is a famous fruit brand in the South of Vietnam for a long time. 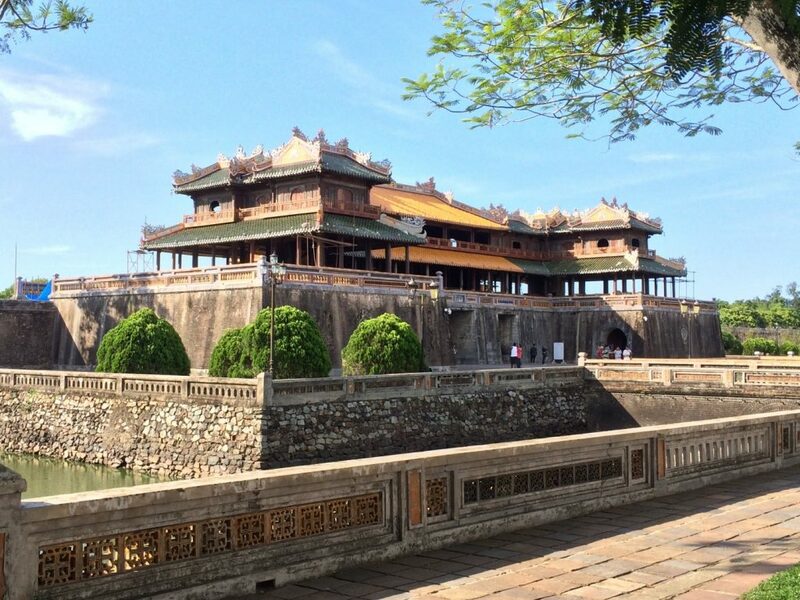 Hoa Loc is the old name of Hoa Hung commune, Cai Be district, Tien Giang province. This is the alluvial area along the river so a lot of nutrients for mango trees. Hoa Loc sand mango is shaped like Cat Chu mango. Hoa Loc sand is ripe and fragrant, and farther than Cat Chu mango. When eating mango sand Hoa Loc, people feel like there are sweet grains of sweet sand in the mouth. Mango Cat Loc follows the driver and goes to the market of provinces and cities and is reaching out to the international market, serving some of the most demanding markets like the US and Japan. The yellow rice boat longan is the famous fruit specialty of Vung Tau city. 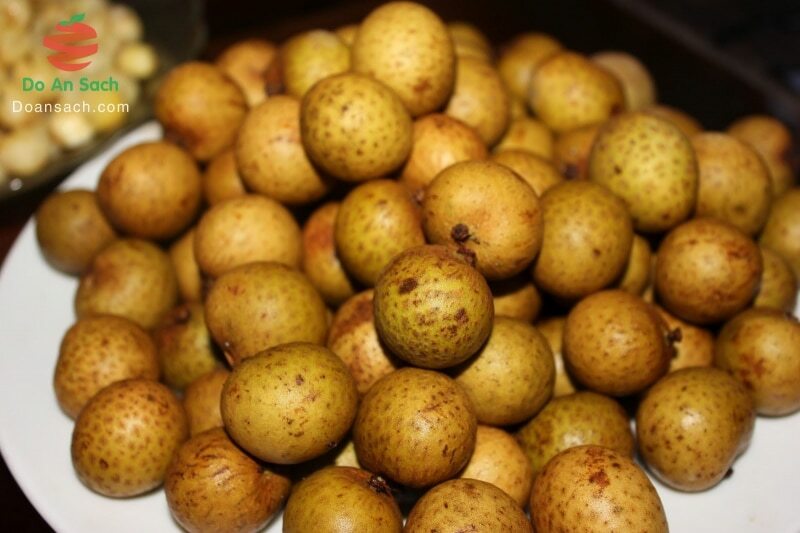 When ripe, the longan has yellow cowhide, thick, drained meat, crispy and very sweet. Mangosteen is a very difficult plant to grow. It is only suitable for the natural conditions of the countries in the tropical monsoon climate. 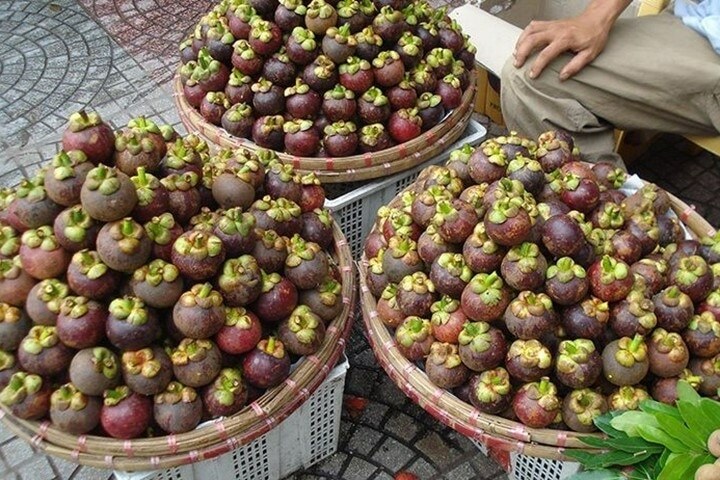 In Vietnam mangosteen grows best in the Southwestern provinces especially in Ben Tre province. 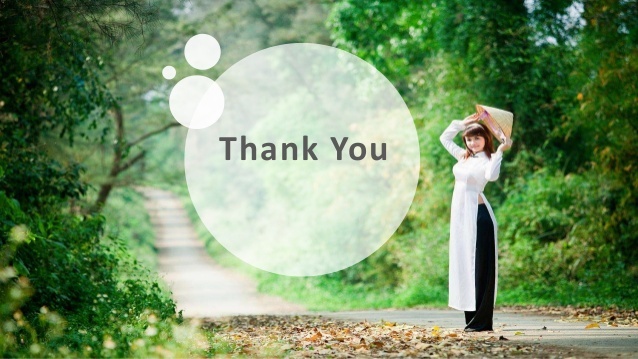 Thanks to that, Ben Tre mangosteen is very delicious and always welcomed by the market. Mangosteen gardens in “Cho Lach” are beautiful images often used to promote tourism. What’s more interesting by walking in the mangosteen gardens, picking the most ripe fruits and listening to the garden owner introduction about how to take care of mangosteen. You will feel more love mangosteen ben tre. In Vietnam, durian is imported from Thailand and first planted in Tan Quy and Bien Hoa areas, then spread to Southern provinces and Central Highlands. But the best is Vinh Long Province in the Mekong Delta. For many people who have never eaten or are not used to it, the smell of “horrible” is as frightening as its prickly appearance. But those who are accustomed, durian have a very special taste, sweet and moderate, powdered like butter. 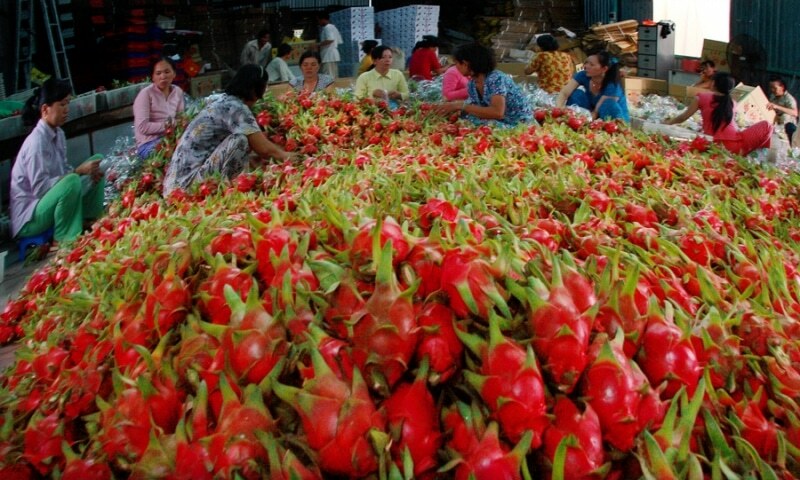 In the 1990s, dragon fruit was grown by Binh Thuan farmers as an ornamental tree, not yet developed into a fruit tree as it is today. This is a drought-tolerant, non-soiled tree, very suitable for the climate and soil conditions in Binh Thuan. Dragon fruit is sweet, cool, contains lots of vitamins such as B1, B2, B3 … It works to improve the digestive system, fight skin aging, control and prevent diabetes. Although the famous is so delicious, but the dragon fruit here still has not found the output, sometimes fall into the “get the season, devaluation”. Thanh Ha is a district of Hai Duong province. The land here is deposited by alluvial so it is very fertile, favorable for agricultural economic development. This place is especially famous for the litchi. Later litchi was bred in many other areas of the country. 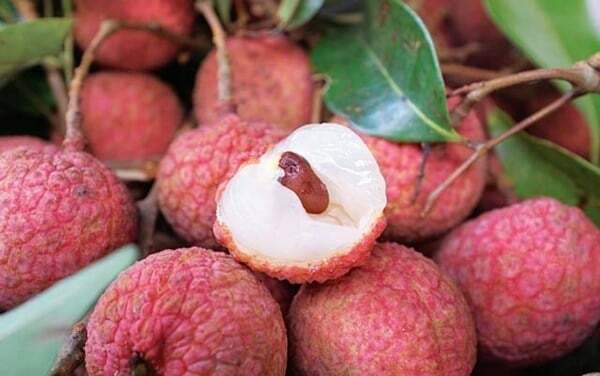 But due to geology and water resources, only litchi trees are grown in Thanh Ha land to produce the most delicious fruit. The pulp of the litchi here is thick and sweet, with a special aroma. Between the pulp and the grain there is no thin, brown film, the acrid taste like other types. In addition to the fresh fruit, you have many other options such as dried litchi, jam and even vinegar. Vinh Long has a very famous Nam Roi pomelo, which is harvested in August and the lunar month of December. Nam Roi pomelos were brought to the village by a senior named Bui Van Tuoc. In 1996, in the locality, there was a good fruit contest, Mr. Tuoc had brought this pomelos to the exam and suddenly received the results. Since then this plant grows and is widely propagated. Nam Roi pomelos carry brands throughout the country, in the international market promoting Vinh Long specialties. 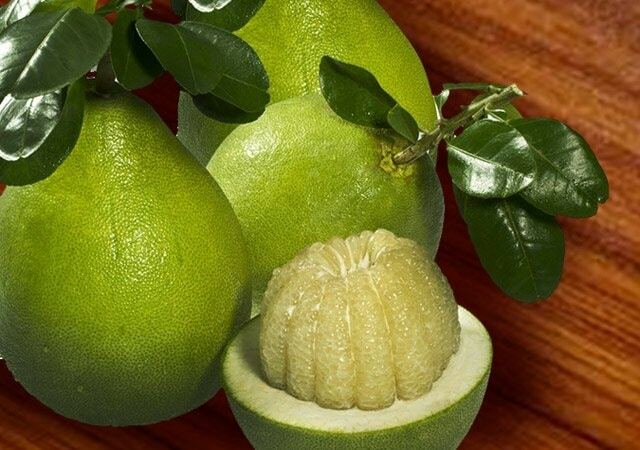 Nam Roi pomelo fruit is not too sour, harmonious between sweet, spicy and spicy with chili salt. Although the fruit is not large, the area is thick, low seed, succulent, very delicious and sweet taste. 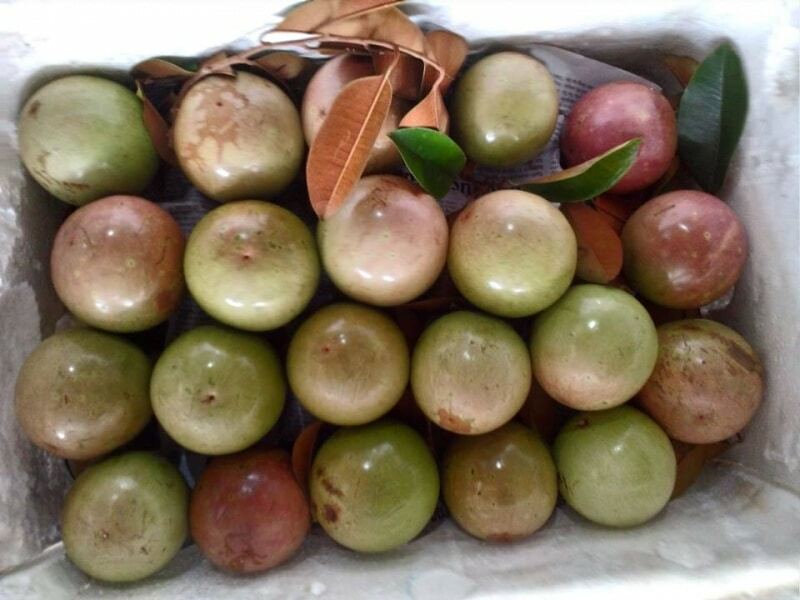 In the Sapodilla Mac Bac fruit contains many minerals such as iron, copper, potassium, vitamins A and C that enhance the immune system and can help hair, skin health. 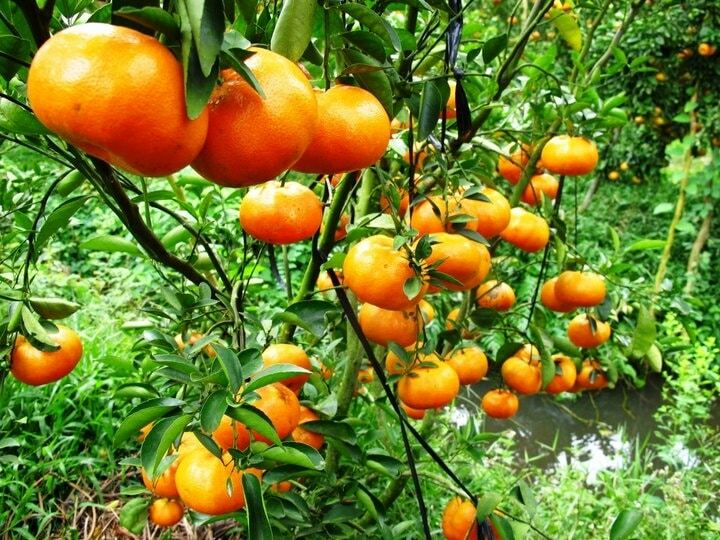 Pink mandarin is grown in Lai Vung district more than 100 years ago. Thanks to the climate, water, suitable soil, pink tangerines here always give more big, round, succulent fruits than tangerines grown in other areas. Pink mandarins grown about 2 years can eat fruit. Because only left in a fixed season, the amount of Lai vung Pink Mandarin is not enough to supply the market according to demand.